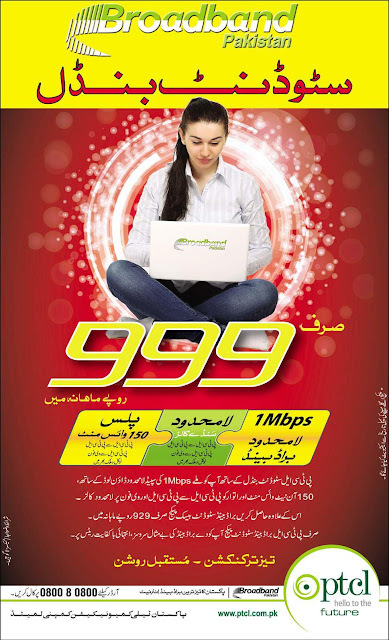 PTCL has always been at front when any telecommunication service is compared or offered. Past few years have been a bit hard for PTCL due to the mobile phone companies, and internet serving companies in competition, but finally PTCL has come up with such a smart offers that its customers are back. One such offer was announced many months before. The main thing about this offer is that it is economical. It comes at the cost of just 999 PKR per month. Perhaps thats the reason it is called the student bundle offer. The advertisement of this offer is given below.